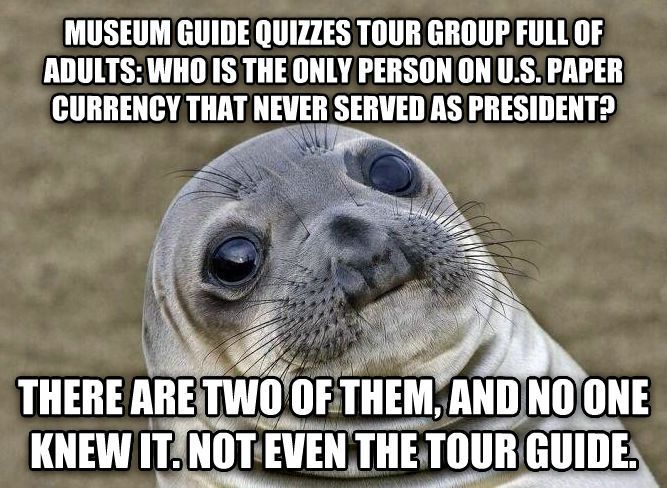 museum guide quizzes tour group full of adults: who is the only person on u.s. paper currency that never served as president? there are two of them, and no one knew it. not even the tour guide.